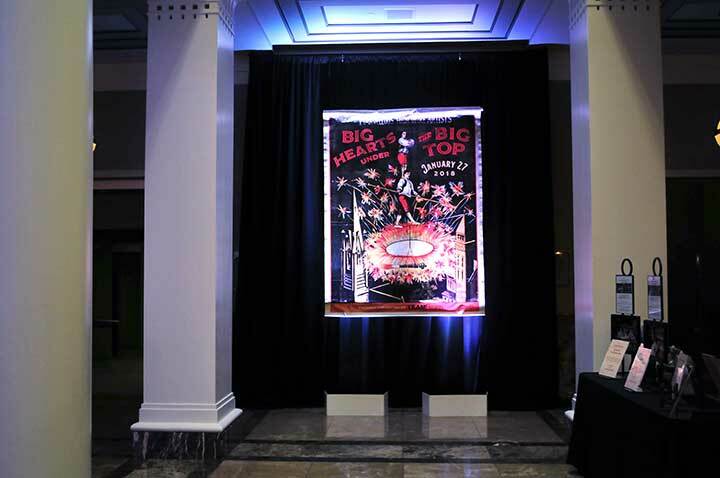 Posted on February 9, 2018 at 5:30 pm. 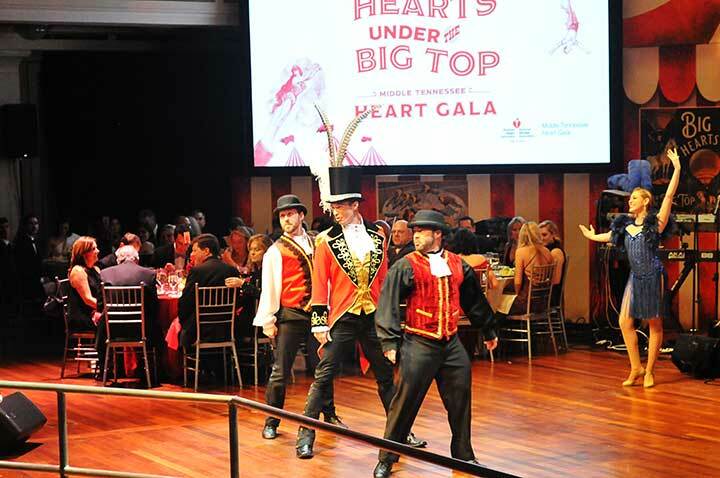 The Heart Gala is a premier, black-tie event benefiting the American Heart Association/American Stroke Association. 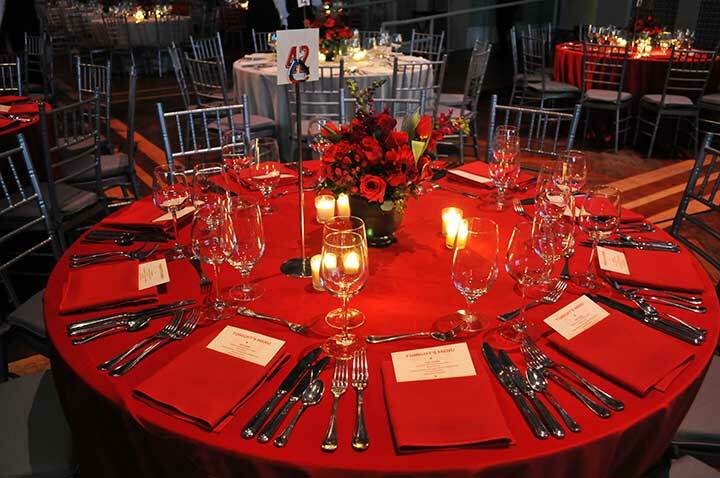 The event offers hundreds of guests a celebration complete with fine food, elegant ambiance and lively entertainment. 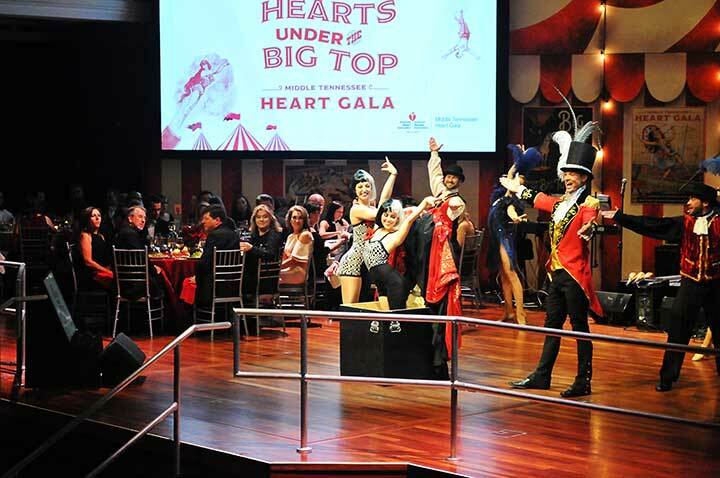 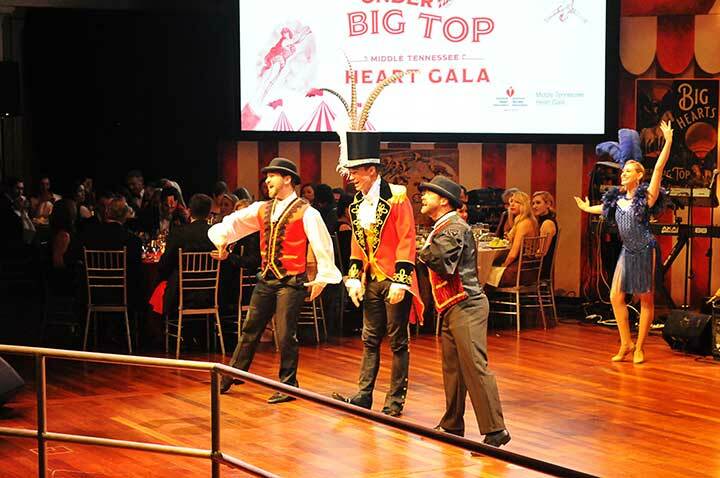 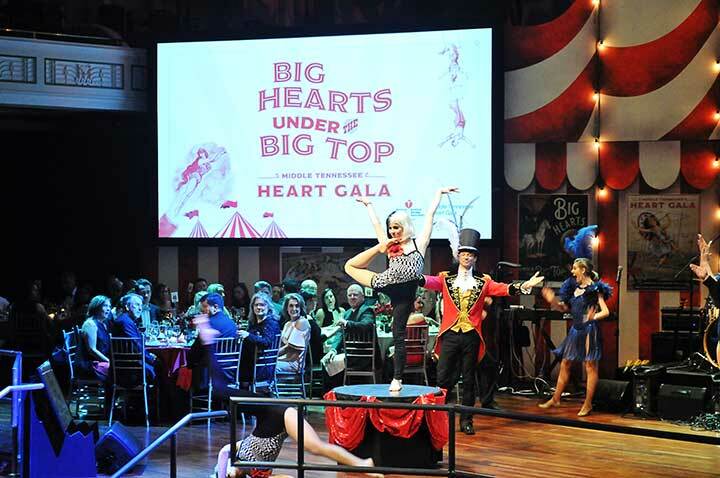 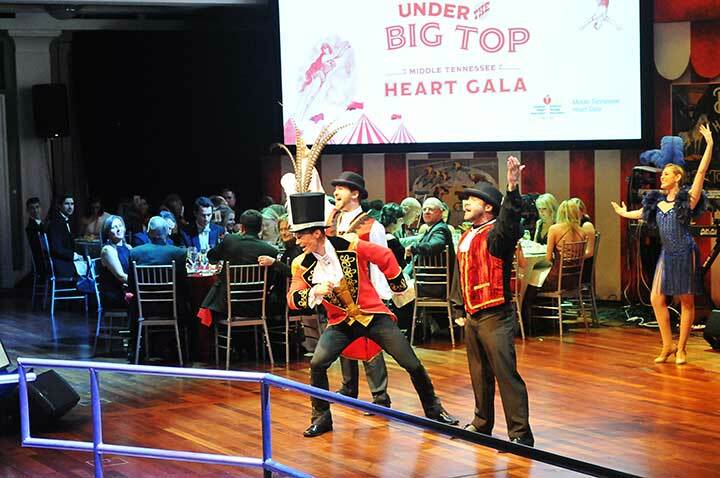 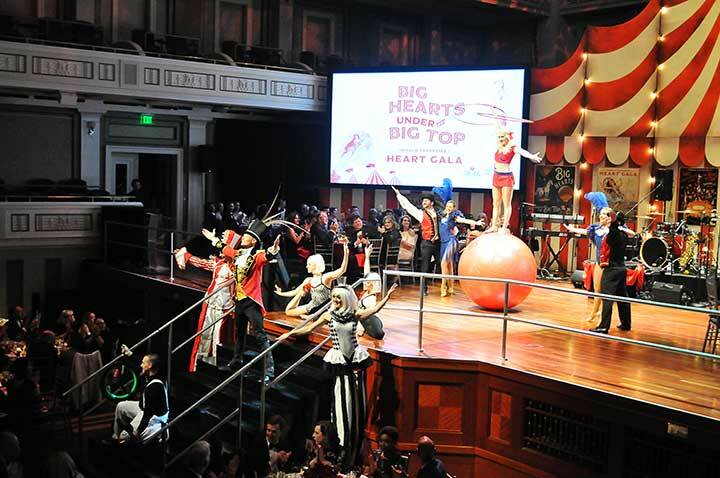 This year the theme was Big Hearts Under the Big Top. 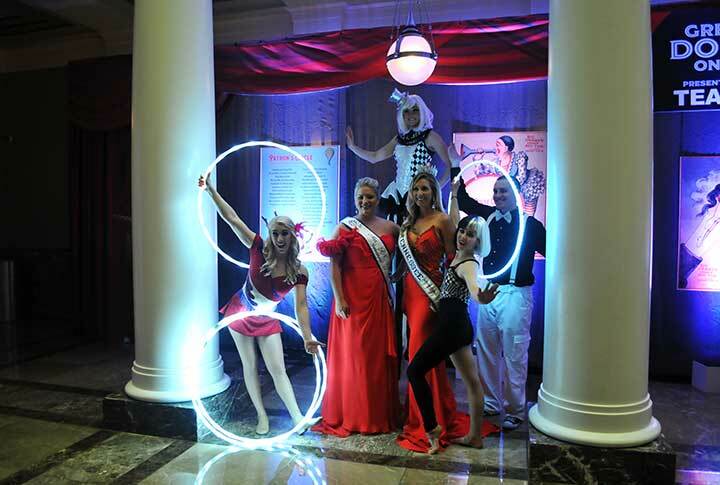 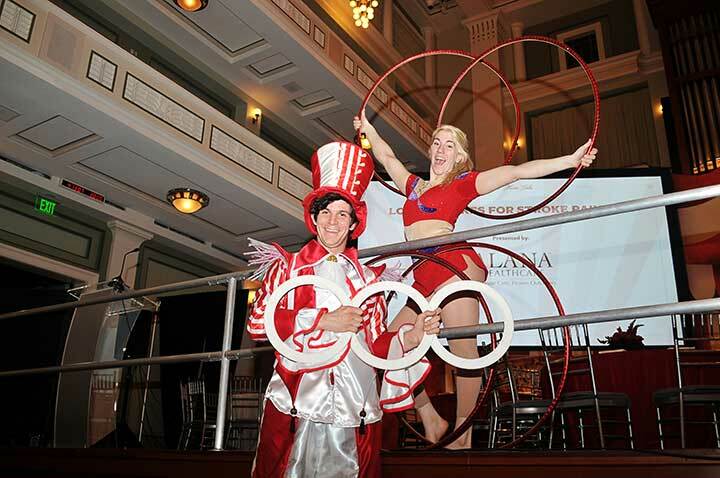 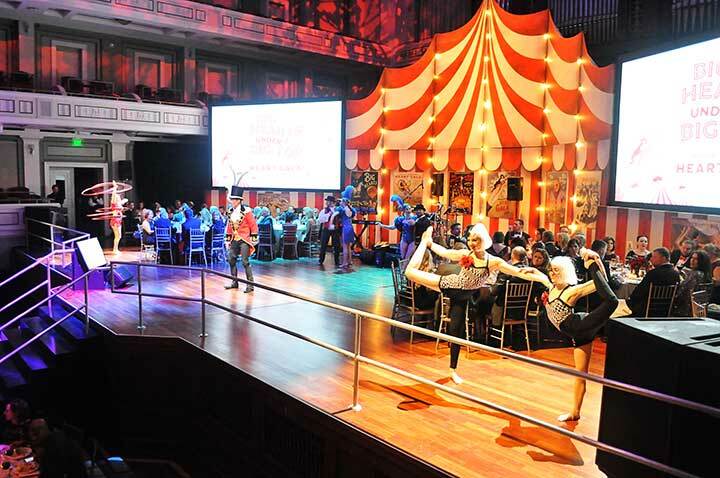 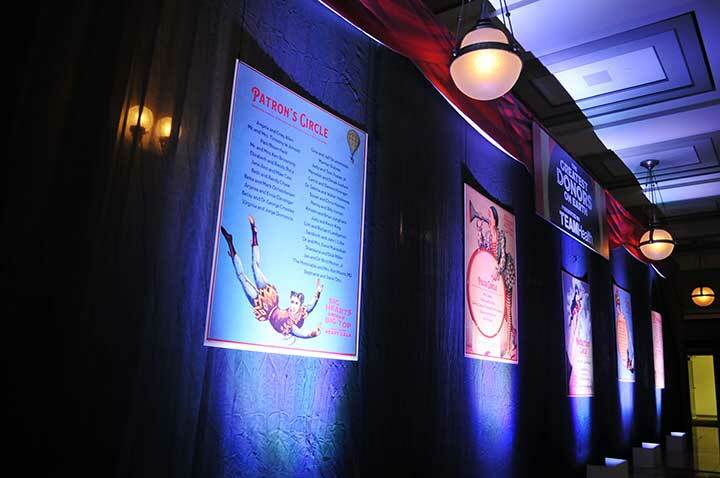 Guests were entertained with acrobats, jugglers, contortionists, singers, dancers, and a ringmaster as a host. 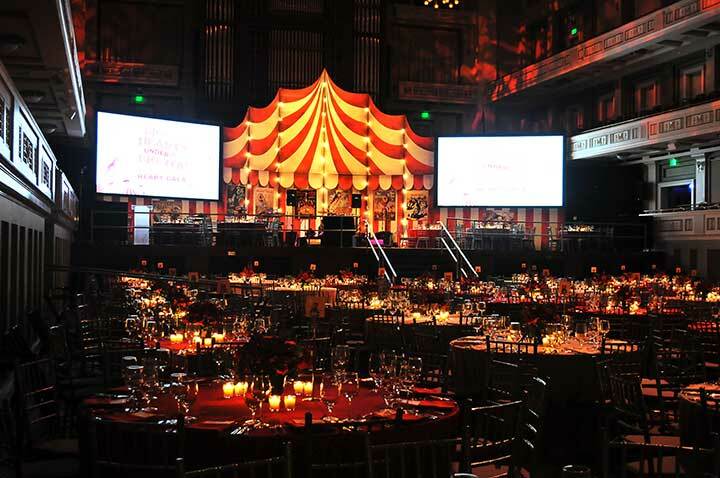 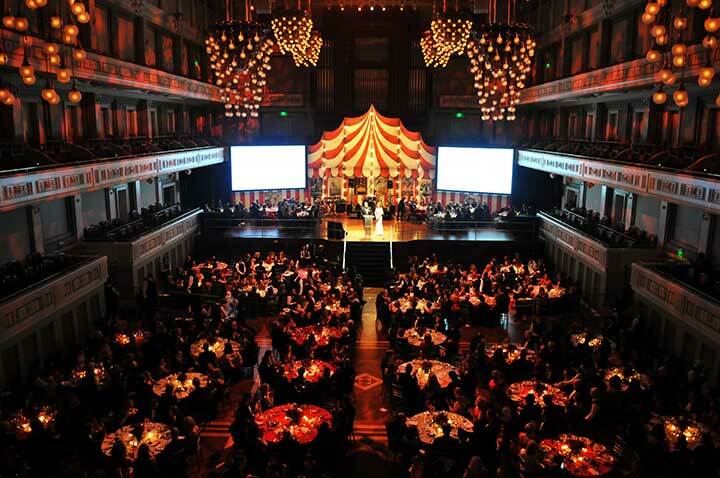 The venue for this fundraiser was Nashville’s beautiful Schermerhorn Symphony Center in downtown Nashville, TN. 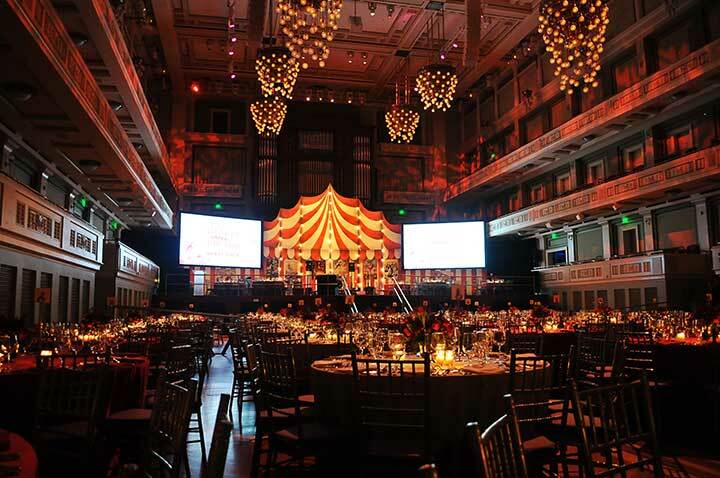 This stunning location is a favorite for event planners due to its elegance, unique architectural styling, and proximity to downtown Music City, USA. 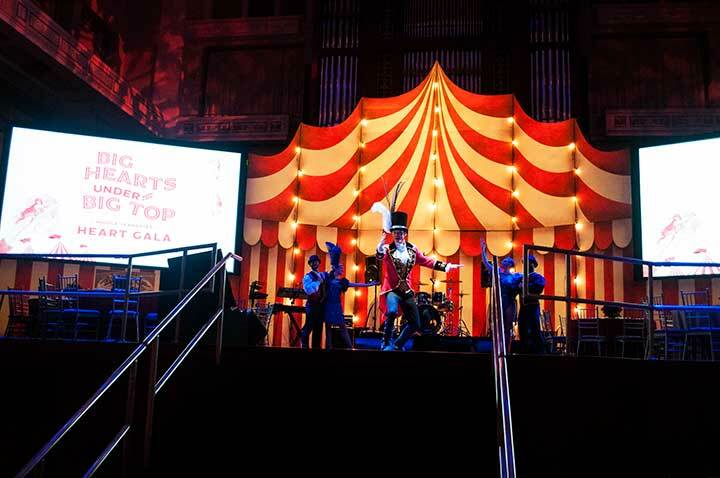 This three-ring styled circus featured acts throughout the night and served an amazing Opening Act to the Main Event. 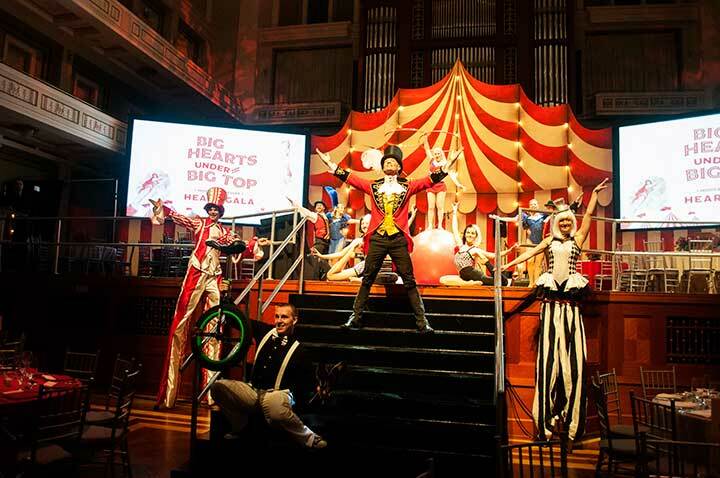 It perfectly captured the heart of the Golden Age of the Circus. 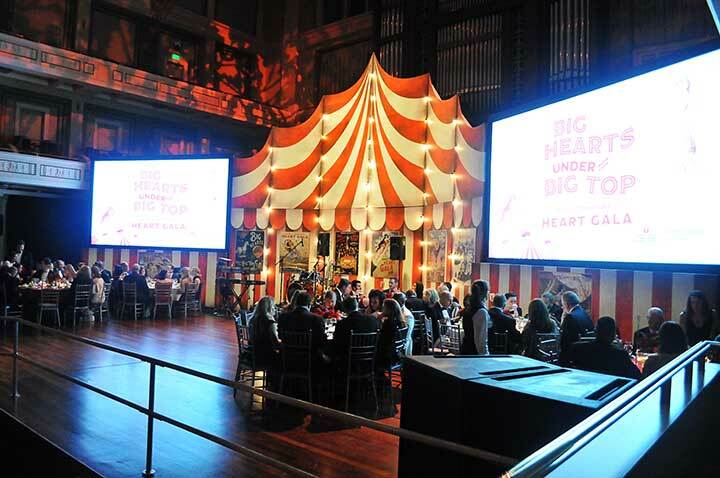 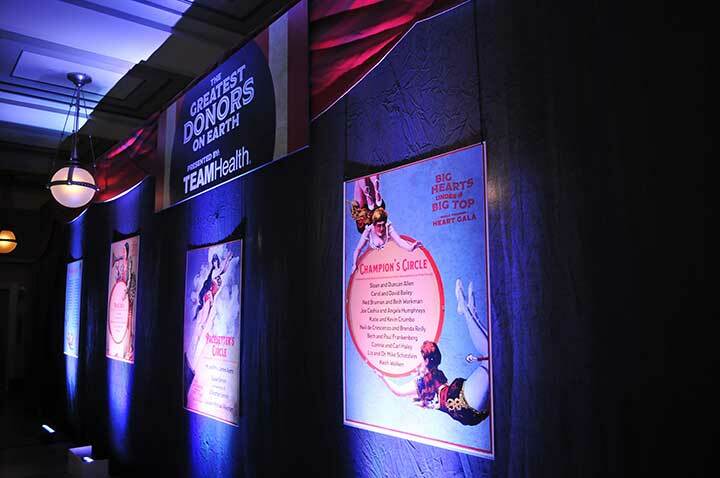 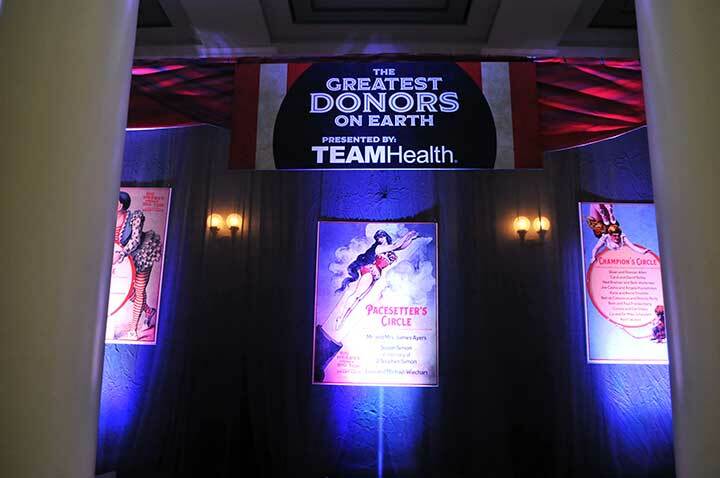 Destination Musick City had the privilege of event planning for the American Heart Association. 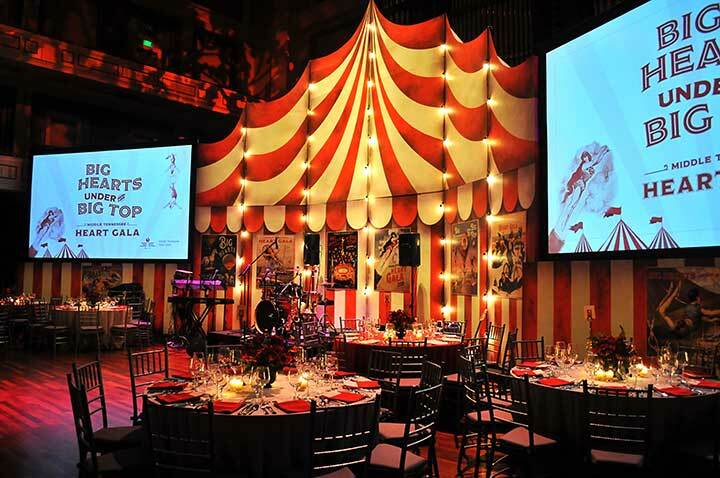 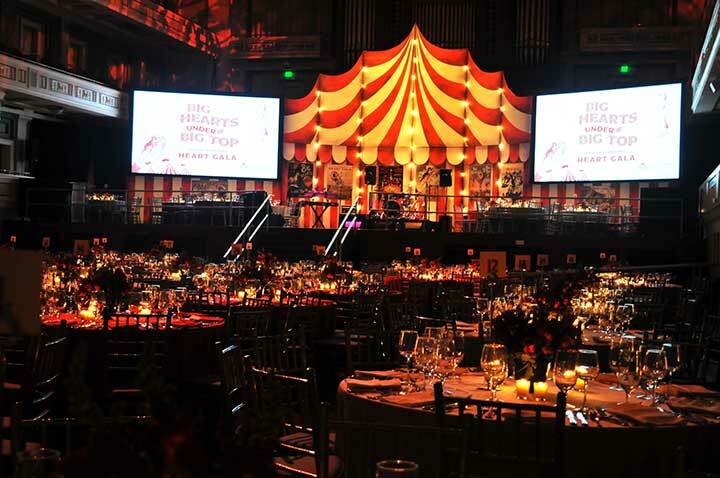 Big Top themed Spectacles are seeing a resurgence in the event planning world as the decor lends itself to a visually stunning era rife with nostalgia. 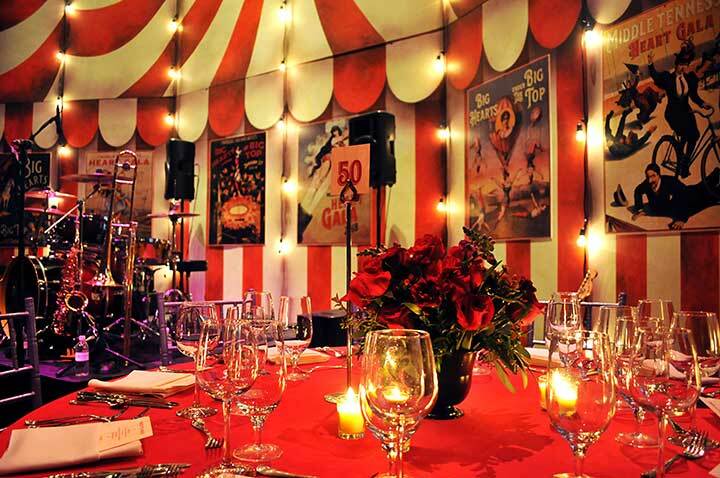 The charm of a circus is an excellent way for event planners to entertain, amaze, and pull on the heart strings of every audience.